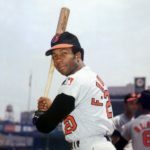 The legendary Frank Robinson passed away on Thursday at the age of 83. The first African-American manager of Major League Baseball (in 1975 with the Cleveland Indians) and the only player to win Most Valuable Player awards in both the American and National leagues. On the field, Robinson excelled as an outfielder and first baseman and was inducted into the Hall of Fame in 1982, his first year of eligibility. The Toronto Raptors made a big trade at the NBA trade deadline on Thursday by grabbing Marc Gasol from the Memphis Grizzlies. The Philadelphia 76ers also made a splash by trading their 2017 #1 pick Markelle Fultz to the Orlando Magic in exchange for Jonathon Simmons and a first and second-round pick. After the hype surrounding the possibility of Anthony Davis leaving the New Orleans Pelicans, the trade deadline passed, and Davis is still with the team and will enter the lineup. According to the Pelicans’ GM, Davis expressed his interest in getting back on the court and helping the team win.